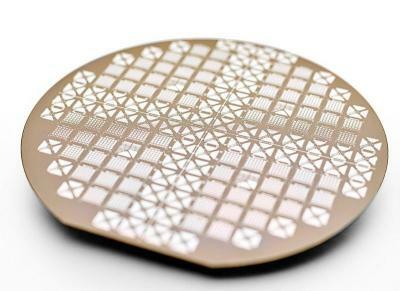 The metal contacts are made on graphene edges for optimal performance, made from Ni/Al. The minimum feature size obtainable is 5 μm. Dicing is included in the price. The substrate can be the standard Si/SiO2 wafer, or any custom substrate desired by the customer (subject to compatibility with the chemicals and temperatures used in the process). The devices pass the stringent quality control that Graphenea enforces on all samples, including Raman spectroscopy, optical microscopy, and electrical tests. This graphene foundry service, a first on the market, is a decisive step towards commercialization and proliferation of graphene. GFAB is another addition to the graphene film value chain that the company offers, which has until now included graphene as-grown on copper, prepped for transfer (with PMMA coating), transferred to standard or custom substrates, and patterned into GFETs for use in sensors.